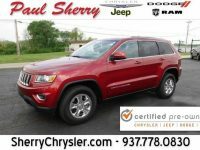 You want a used car you can trust, and you know you’ll get that at Paul Sherry Chrysler Dodge Jeep RAM Used Cars. The Paul Sherry Family of Dealerships has been serving the community since 1968 and has built a reputation as the best place to get certified used cars in Ohio. 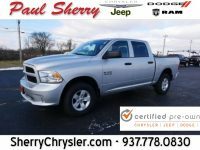 If you want a reliable vehicle at a fair price, look no further than Paul Sherry Chrysler Dodge Jeep RAM Used Cars. Why Get a Certified Pre-Owned Vehicle? Certified pre-owned vehicles are the best of the best when it comes to used cars. They are typically late-model cars and usually have low mileage. These vehicles undergo a vigorous inspection during the certification process and are reconditioned to make them look and drive like new. When you get one of the certified used cars from our Ohio dealership, it’s like getting a new car but without the hefty price tag. It’s a way to get something reliable and flashy without spending more than you can afford. Look at it as the best of both worlds. You get an amazing vehicle, but you don’t have to spend a lot of money. 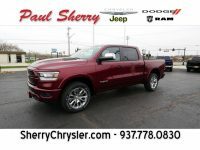 Did you know that all the vehicles at Paul Sherry Chrysler Dodge Jeep RAM Used Cars are priced below market value? That includes our certified used cars. While other used car lots try to milk people for as much as they can, we make it our mission to help you get into a reliable vehicle at a price you can afford. You don’t have to worry about spending hours researching prices when you use us. If it’s on our lot, it’s priced below market value. That’s our promise to you. As a leader in selling certified used cars in Ohio, our team is always on hand to answer your questions. We are ready to help you pick out the right vehicle for your needs. We don’t just want to sell you a vehicle. We want to sell you one that has the features you need for your daily commutes, cross-country adventures, and everything in between. Don’t wait any longer. Stop by our Ohio dealership and look at our certified used cars. We are located in Piqua and serve people all over the Greater Dayton and Greater Columbus area, and we are excited to help you find a certified used car.